Dr. Park Corrects An Error in Navy Paper. I am doing a write up on the Navy paper. Please see the e-mail below. It looks like there was a mistake on the Amp. turns value. Thank you for pointing out and we will correct it. Since the B-field values are the meaningful quantity in the analysis, I expect the physics results stand as written. There was an error in the paper. The amp-turns in the appendix were incorrect, but the field values used throughout the paper were correct. I don't know where 22 kA-turns came from. It popped into the paper somewhere between "v4" and "v6", March 4-11. It replaced an earlier and more wildly incorrect value. Shot 15640 had magnet current 256 A, and at 160 turns per magnet that's 40960 A-turns. 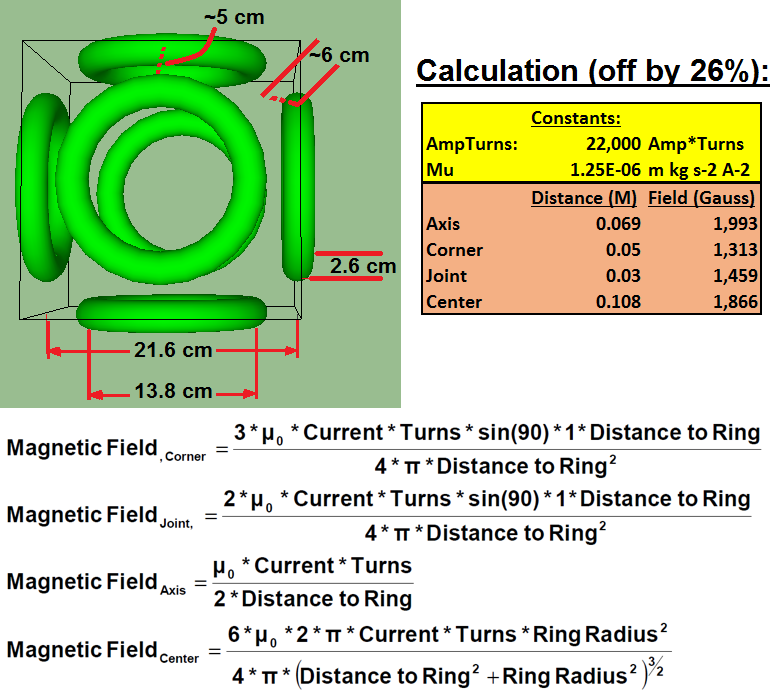 I checked these numbers against an online magnet calculator (http://www.netdenizen.com/emagnet/offax ... ulator.htm) and also confirmed with Excel (using elliptic integrals tabulated in Abramowitz and Stegun for the 4 coils that aren't on the same axis as the calculation point). In response to this gentleman, let him know the amp-turns were in error, but the field values are correct. You could also let him know that the other five coils reduce the face value by 27% at the magnet plane (not at the true max field point, but very close). Re: Dr. Park Corrects An Error in Navy Paper.